Hide Options Like us on Facebook or Google for more trending tips and updates! Detective Comics #58 CGC 3.5 1st Appearance Of The Penguin!key Issue!l@@k! Marvel Journey Into Mystery #83 CGC 4.5 1st App. Of "thor"
Fantastic Four 4 CGC 3.0 | Marvel 1962 | 1st Silver Age App Sub-mariner! Kirby! Daredevil 1 CGC 3.0 First Daredevil! Subscribe to receive recent eBay comic sales data by comic age on a twice-weekly basis direct to your inbox OR just click the View Feed buttons to see recent sales activity. To subscribe, log in or create a new account, here. New custom feeds are coming soon! 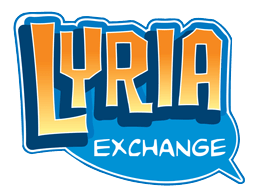 © Lyria Exchange 2012, All rights reserved.